A recent study showed that 95% of executives think they understand everything they need to know about their behavior and emotions. 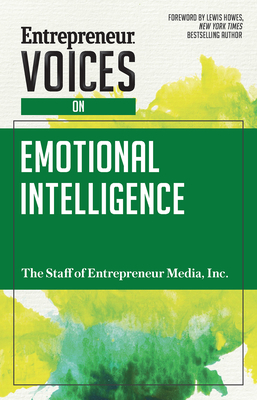 In reality, the number of business leaders who are self-aware of their emotions and behavior is 10-15%. And that's a problem because being emotionally intelligent enables you to learn from mistakes and grow. And growth is key for anyone running a business. On the flip side, readers will also learn about the habits of the woefully unself-aware. People who hold grudges, can't let go of mistakes and have no idea what their triggers are and how to regulate them so that they land in the 10-15% bracket and less in the 80% who are lying to themselves. For more than 30 years, Entrepreneur Media has been setting the course for small business success. From startup to retirement, millions of entrepreneurs and small business owners trust the Entrepreneur Media family--Entrepreneur magazine, Entrepreneur.com, Entrepreneur Press, EntrepreneurEnEspanol.com, and our industry partners--to point them in the right direction. The Entrepreneur Media family is regarded as a beacon within the small to midsized business community, providing outstanding content, fresh opportunities, and innovative ways to push publishing, small business, and entrepreneurship forward. Entrepreneur Media is based in Irvine, CA and New York City. Jonathan Small is an award-winning journalist and digital video producer. He has written features for The New York Times, TV Guide, Glamour and Cosmo. He is CEO of Writing Partner, a consulting and ghostwriting service, and the host of the podcast Write About Now.